Christmas is a happy holiday for local or foreign students. In cold winter, students living on the Lan Yang Campus can feel the warmth of this festival. 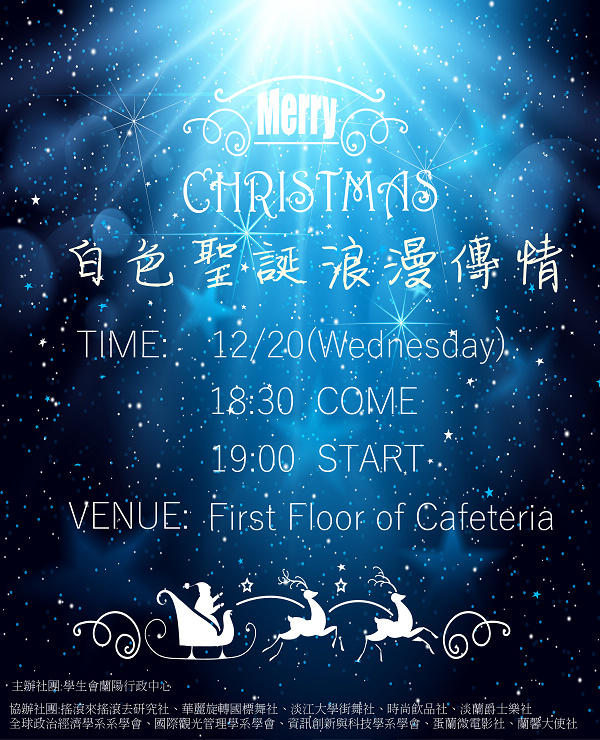 For foreign students, even in different countries but also feel the Christmas atmosphere. For away from home students can also be accompanied with important people and friends.